A healthy slice of eating advice for moms & moms-to-be. Which Individual Nutrient Supplements Might You Need during Pregnancy? Pregnant? What if You’re Not Gaining Enough? Morning Sickness Recipes to Beat the Queasies! Are You Getting Enough Calcium While Pregnant? 8 Great Almond Recipes–Plus Why You Should Eat Them When You’re Pregnant! Should You Eat Fish While Pregnant? Healthy Seafood Recipes…for Pregnancy & Beyond! Alcohol-Free Drinks for National Margarita Day! Moms-to-Be: Another Reason to Can the Diet Soda? Should You Drink Coffee While Pregnant? The Power of Being Unplugged: Do You Need a Digital Diet? Pregnancy Apps You Need Right Now! What is a Healthy Breastfeeding Diet? Can You Lose Weight While Breastfeeding? Exercise… Too much or Too little When Trying to Conceive? Welcome to The Fertility Project! A Healthy Lifestyle is Job One When Trying to Conceive! Trying to Conceive? 14 Foods to Fuel Your Fertility! Is Your Body Ready for a Baby? Take Our Pre-Pregnancy Quiz! 13 Good for the Gut Recipes You Need to Try This Summer! 3 Healthy Apps Your Kids Will Love! Steelhead Trout with Jicama Slaw–Great Leftover! Go Green with a Registered Dietitian: It’s National Nutrition Month! 12 Healthy Nut Recipes You Can’t Resist! Five Things You Can Do TODAY to Cut Your Heart Disease Risk! Channel Your Cravings into Something Healthy! Main Dish Salads For Supper–Deconstructed! Got Allergies? Try these foods! New Year, New You in 5 Easy Steps! 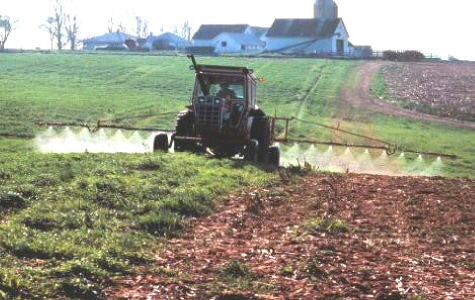 Pesticides: A Risk Factor for ADHD? 4 Skin Moisturizers You Can Eat! Hey there, or as we say in Texas, HOWDY! I'm Bridget and I'm glad you're here! I'm a mom on a mission to help you and your family eat healthier. I'm also a registered dietitian and author of three books on family nutrition. Check Out My YouTube Intro! Check out my latest book! Bridget on Alcohol-Free Drinks for National Margarita Day! Shannon on Alcohol-Free Drinks for National Margarita Day! Need grab-n-go with a side of healthy? Grab our fast food guide to help you navigate the drive-thru! Healthier fast food choices are a click away! Check your email for your free download!